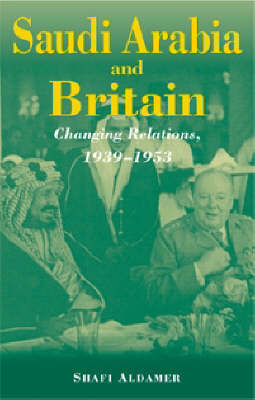 This work attempts to understand the shift that occurred in Saudi-British relations by the year 1953. The tracing of such a shift is dealt with by investigating the development of these relations from 1939 through to 1953. Saudi Arabia and Britain enjoyed a special relationship in the early 1940s, but by the last year of King Ibn Saud's reign (1953) these two states' relations had deteriorated into severe conflict. Though some existing sources have at tempted to shed some light on that development, their findings are modest. In this book, Aldamer aims to correct this situation by exploring the matter in the depth it deserves, from a new purely Saudi-British perspective. The chapters of this book endeavour to answer a variety of questions that affected the main course of Saudi-British relations, such as Saudi-US relations, the security concept, the Saudi-Hashemite problem and the frontier conflict. In his investigations, Dr Shafi Aldamer implements a framework that narrows the usual gap between academic theories and the reality of politicians' and diplomats' practices in the field of international politics. An exploration of a subject that has not been appropriately covered before, the study is an in-depth analysis of this important topic, and is an important contribution to understanding Saudi Arabia and Britain's relations during an important era of change. It should also help the reader comprehend and appreciate their contemporary relations.